New CD From Berry Weber Coming Soon! 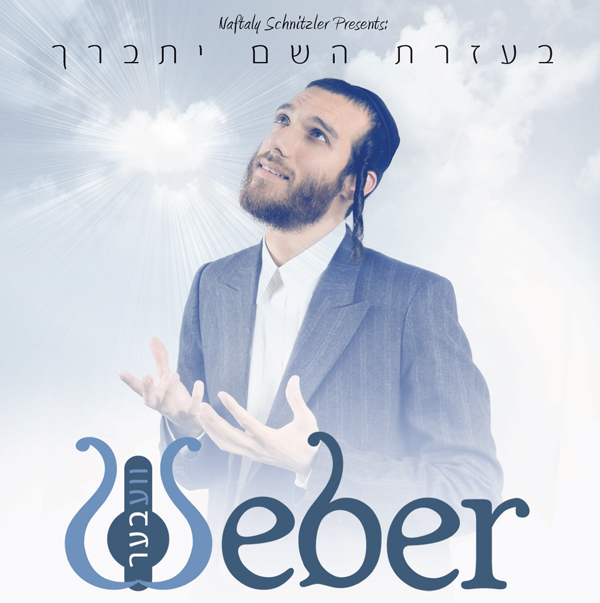 Berry Weber, who’s video single Be’eilokim can be seen on youtube, is set to release his debut album “Bezras Hashem Yisbarach” in 2 weeks. In a Jewish music first, fans were able to watch the evolution of this cover on his facebook fanbook page. Now after hearing from the fans, and many hours of work, the cover is final and ready to be released. Please stay tuned for an all new audio sampler from the entire album, coming at the end of this week. funny thing is, it doesn’t say his first name anywhere on the cover, how are people supposed to know his name?